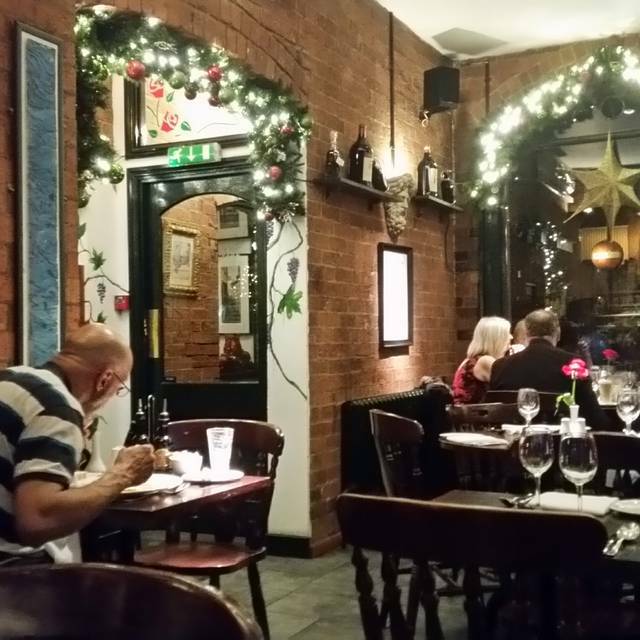 Pasta di Piazza offer good value Italian food in authentic, relaxing and warm surroundings. At Pasta di Piazza we use only the freshest ingredients and take real pride in preparing quality food for you, your family, friends or business colleagues. We are situated in St. Paul's Square, Birmingham near to vibrant Jewellery Quarter, there is much to do before or after you visit as! Our newly refurbished second floor is the ideal place. Boasting charm and character as well as large sash windows allowing in lots of natural light, it’s an open space to enjoy any event. We can cater for groups of 30 to 100 and the space is available for exclusive hire from Sunday to Thursday. Warm tomato stuffed with grilled marinated vegetable, caramelised onion and pine nuts topped with melted mozzarella. Grilled goats cheese on a bed of toasted bread, slices of tomato topped with balsamic vinegar glaze and cherry tomatoes. Prawns in tomato sauce, garlic parsley and little chilli. 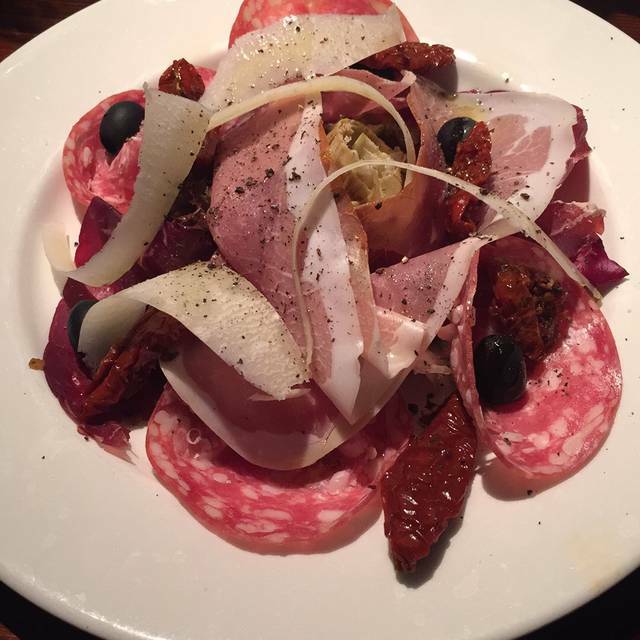 Salami, bresaola and parma ham with sun blushed tomato, artichokes and parmesan shavings. Home made pancakes filled with ricotta cheese and spinach baked in the oven on a bed of tomato sauce topped with parmesan and cream sauce. Avocado and prawns in a marie rose sauce and garnished salad. Oven baked mushroom in our tomato sauce with garlic and herbs, topped with mozzarella cheese. Smooth duck and port pate, crispy toasted ciabbatta and balsamic onion. Sweet melon and norwegian prawns accompanied with marie rose sauce. Baked fresh mushroom cups filled with butter, garlic, white wine and parmesan, served with mayonnaise. Lightly floured fried squid on a bed of salad served with tartare sauce and fresh leMon. Prawn cocktail served on a bed of lettuce with a crevette and leMon. Pan fried potato dumplings with fresh black pepper, walnuts and fresh pecorino shavings. Fresh grilled asparagus topped with a pistachio crust and accompanied by hollandaise sauce. Grilled courgettes rolled with goats cheese, peppers and rocket, finished with extra virgin olive oil. Battered fried white bait with homemade tartare sauce, lemon and salad. White crab meat on a bed of avocado salad, topped with smoked salmon and extra virgin olive oil. Home made vegetable soup served with bread. Tomato, italian sausage, meatballs, mushrooms, chilli, olives and mozzarella cheese. Mixed seafood, tomato, prawns, spring onion and mozzarella. Tomato, mushroom, spinach, salami, olives, boiled egg and mozzarella. Goats cheese, red and caramelised balsamic onion and fresh rocket. Egg, ham, artichokes, capers, olives, tomato and mozzarella cheese. Grilled chicken, spicy bbq sauce, fresh peppers, mozzarella and tomato. Spinach, free range egg, parmesan, olives, garlic, mozzarella and tomato. Tomato, cheese, oregano and sun-blushed tomato. Simply, a long stretched margherita with a centre filled with fresh rocket, topped with parma ham and pecorino shavings once it is out of the oven. Folded pizza with ham, spinach, mozzarella and tomato brushed with garlic butter. Folded pizza filled with tomato, mozzarella, grilled vegetables, red onion and topped with home made pesto sauce. Penne pasta with tomato sauce, mushroom onion and fresh chilli. Marinated seafood mix with olive oil and herbs cooked with neapolitan sauce, king prawns and garlic. Served with linguine. Penne in a neapolitan sauce with olive oil, fresh garlic and homemade meatballs. 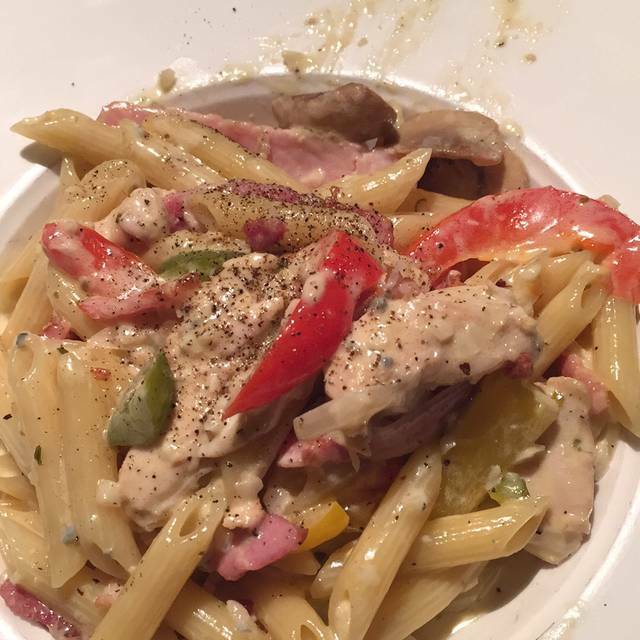 Marinated chicken with bacon, peppers and blue cheese sauce served with penne pasta. Squid ink pasta with garlic, fresh parsley, white wine, fresh chopped squid and vongole. Fresh mixed vegetables simmered in a creamy sweet tomato sauce served with long flat ribbon pasta. Watercress, mascarpone and smoked salmon flavoured with homemade pesto sauce and lemon zest, served with short, slightly twisted pasta tubes. Penne pasta with chicken, chilli and tomato sauce. Pieces of chicken, cooked with mushroom and spinach, simmered with white wine and cream sauce, served with tagliatelle. Pieces of chicken with a delicious lemon sauce, served with peas, asparagus and fettuccine pasta. Spaghetti with bacon, cream and egg yolk. Tender marinated pieces of chicken cooked with onion and sliced mushrooms and simmered in a delightful tomato sauce served with fettuccine pasta. Potato dumplings with creamy blue cheese and spinach sauce. Linguine pasta cooked with king prawns, chicken, tomato sauce and hint of chillies. Homemade cannelloni crepes stuffed with delicious beef ragu, spinach and mozzarella. Nestled in a bed of tomato sauce, topped with cream and baked in the oven. Penne pasta simmered in our tomato sauce with mascarpone, mozzarella, pecorino and ricotta then baked in the oven. Layers of spinach pasta with meaty bolognese and béchamel sauce baked with parmesan and mozzarella. Italian rice with tails of crayfish, flavoured with garlic, saffron and fresh rocket. Porcini mushroom risotto with luganica pork sausage, white wine, parsley and grana padano. Italian rice with marinated king prawns and seafood mix in olive oil, garlic and tomato sauce with a touch of tabasco. Italian rice cooked with goats cheese, asparagus, peas and sundried tomatoes. Pasta parcels filled with mixed mushrooms in a light cream and tomato sauce. Large ravioli filled with fresh crab meat, simmered in a delicious clam sauce with tomato and lobster bisque. 28 day matured grilled sirloin steak in red wine and mustard sauce. Grilled fillet steak with red wine, brandy and creamy peppercorn sauce. Grilled fillet steak with a mushroom, sherry, grain mustard and mascarpone sauce. Grilled prime fillet steak wrapped in parma ham on a bed of porcini sauce, topped with a mushroom stuffed with pate and drizzled with truffle oil. Pan seared fillet steak with garlic, mixed peppers, oregano, mushrooms and san marzano tomatoes. Venetian style calf's liver with shallots and red wine sauce served with mashed potatoes and crispy pancetta. Pan fried chicken breast flavoured with garlic, red onion, chilli flakes, mixed peppers and simmered in our homemade tomato sauce. Chicken breast on a bed of garlic spinach, with a creamy mushroom and white truffle oil. Tender pieces of chicken breast, italian sausage and shallots grilled on a skewer, served with our house salad and drizzled with an olive oil dressing. Flattened, rolled chicken breast filled with ham and provolone cheese with a breaded herbycheese crust. Topped with a light cheese sauce. Pan fried scallopines of veal, topped with parma ham and mozzarella cheese in a light tomato and red wine sauce. Fried bread crumbed thin slice of veal, served with spaghetti neapolitana and aged parmesan (no vegetables). Sautéed crumbed thin slice of veal, topped with tomato sauce, herbs and mozzarella cheese and baked in the oven. Tender veal smothered in a sauce flavoured with marsala wine, shallots, fresh thyme and cream. Marinated lamb fillet in rosemary, garlic and olive oil, served on a bed of spinach with red wine sauce. Pan fried king prawns with olive oil, garlic, shallots, fresh chillies and tomato sauce. Served on a bed of rice (no vegetables). Smoked salmon, king prawns, crayfish tails and mixed salad with extra virgin olive oil dressing. Traditional creamy dessert featuring sponge soaked in brandy, sambuca and amaretto liqueur with espresso, layered with mascarpone cheese & cream. Traditional italian desserts made of marsala wine, sugar & egg yolksn (prepared to order & served hot). Chocolate gateaux served with cream or ice cream. Homemade crepes with lemon jus & sugar, served with vanilla ice cream. Homemade crepes filled with banana fruit, served with vanilla ice cream & maple syrup. Choose three scoops from our italian ice creams; vanilla, chocolate, strawberry and dairy pistachio. Nougat ice cream covered with nougat & hazelnut praline served with crushed amaretto biscuit. Traditional italian creamy dessert served with raspberry coulis. Chunks of bramley apple, encased in a golden shortcrust pastry. Served hot with ice cream or cream. Luxury hazelnut and chocolate gelato with a liquid centre of dark chocolate enrobed in cocoa powder. Italian blue cheese served with biscuits & celery. Vanilla ice cream served with a shot of espresso coffee. Sinfully delicious and smooth cheesecake on a digestive base topped with summer fruits and raspberry glaze. Deep garnet colour, delicate floral bouquet, fresh picked figs and dates. The palate is totally full of exotic fruit with a touch of almonds and vanilla, sweet with a crisp finish. Very high class sweet wine, proveving of late harvest, with over mature chenin blanc, fruity exotic with honey mangoes, long in the mouth. Delicious juicy ample fruit with a touch of dryness. Food was good and a sensible portion size. The room was crowded and noisy and staff were unwilling to release tables in a quieter area. Conversation was difficult. It was a Monday night, so I imagine it would be even noisier at peak times. Amazing food, amazing staff. Been 5 times since Christmas. Can’t recommend it enough! However we booked a table for 9.30 Saturday evening and wish we hadn’t !!!! Great dining experience. Food, venue and staff were all next level. Recommended. Excellent food,speedy service,would highly recommend and will definitely return when in Birmingham. 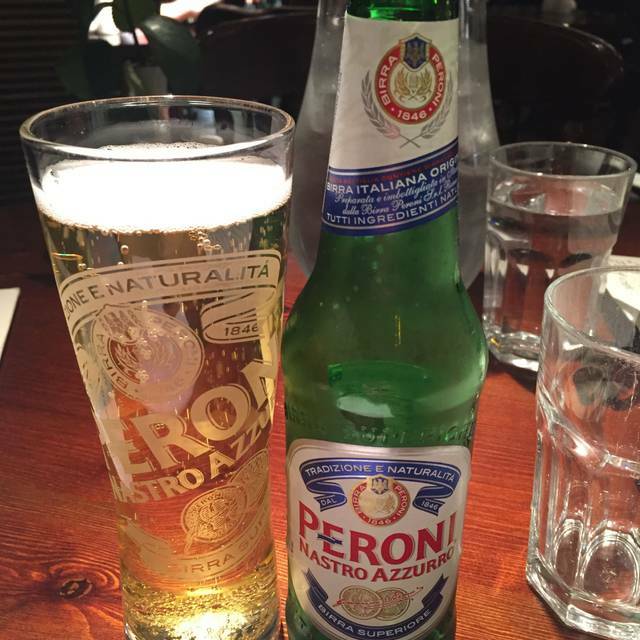 Best italian we’ve been to in England! Great pizza! Absolutely would as usual ! Love it here, food is great, service great, a lovely restaurant. Excellent place for lunch, extensive menu and good food. Love it here! Food, service and ambience always excellent. Have been to this restaurant several times over the past 15 years. Has never disappointed. Lovely meal, place and atmosphere we've been there many times. Lovely restaurant, clean, inviting and great service! The food was lovely presented, decent portions and value for money! The starters were fabulous with fresh ingredients, husbands main dish was lovely, However the vegetarian options were limited and the vegetarian calzone was smoothered in pesto so really not good! Atmosphere lovely so didn’t spoil the night! Used to come here regularly and couldn’t fault the place but after visiting last Saturday since the new extension it was overcrowded, service was slow and it’s lost it’s charm. Food was overpriced and nothing special. Sadly won’t return again. Less is more and they have tried to go to big now. Food was amazing excellent choice. Staff were polite and attentive. Unfortunately service was slow. Our evening was spoiled by a hen party who were squeezed into a long thin table meaning they couldn’t hear each other so all ended up shouting. We’re aware of a room upstairs and would have thought it more sensible to put them up there. Our food was nice but we couldn’t have a conversation or hear the waiter over the noise. Have been here many times before. Food is always excellent, but we had an inexperienced waiter who constantly reached across you even in the middle of one's conversation. Gave us the desert menu and then we got forgotten. Could not attract anyone's attention. So poor3 end to the night. I know it can be better. We all loved the food we ordered. We will definitely return. We visited on a busy Saturday night so it was expected that we would be served a little slower, but the wait wasn't too bad and the food was worth it, every course was delicious, the best Italian food ever! Staff were very friendly, polite and attentive as well. Really liked the building, had a factory vibe with bare brick walls but worked really well! Would definitely return. Great food, excellent atmosphere and friendly staff. I love this Italian Restaurant. It feels authentic, it’s big, but sociable. Service is attentive and food is served quickly with elegance. My pick of the dishes was the creamy and meaty “monkfish and prawn carbonara“ from specials board. As a regular visitor we were for the1st time disappointed with 2 courses, the special beef stroganoff was as tough as hell and the veal Marsala wasn’t veal was again 4 pieces of tough over cooked meat same taste structure of the stroganoff. We were seated promptly, ordered starters and drinks, then soaked up some of the lovely ambiance. Starters were absolutely fantastic, then my partner couldn't decide on her main and opted for a chicken pizza, I chose the mushroom risotto. Absolutely outstanding and highly recommended! Enjoyed food (lasagna lovely) staff didn’t really engage and maybe could have smiled a little. Waited a quite a while for liquor coffee. Wonderful food and great service. Highly recommend visiting here to celebrate birthdays, anniversaries etc. Service was EXCELLENT. Never had to wait too long for drinks etc. Starter: Prawns in tomato and chilli (GAMBERETTI MARINARA) the taste was there (really good taste) but buy bigger prawns, would’ve been an excellent dish. Prawns were wayyyy too small. Main: I had the linguine with king prawns and chicken (LINGUINE CON GAMBERONI E POLLO) taste was great! Take the chicken out, really doesn’t mix well with the prawns and in that kind of sauce. Only had 3 king prawns, would’ve rated the dish a lot more if it was all prawn. Excellent food and great ambiance as usual . Highly recommended. I love this restaurant. I've been going to Pasta di Piazza for many years and it has never failed to impress me. For Valentine's Day, it was the perfect place. Excellent meal. Beautiful traditional restaurant offering authentic Italian dishes. My fillet steak was cooked to perfection and I shall return to try all the other things I wanted to try. Having visited this restaurant a long time ago, I decided it was a good place to try again. I picked a time that was quiet as we were taking my 2 year old nephew as Pasta di Piazza prides its self on being a family restaurant I thought this would be fine. There was no more than 5 tables in use on our arrival so it was no busy at all. We were seated at a table and offered a high chair, at the time my nephew didn't want to sit in the high chair so we moved it to the end of the table out of the way. This caused an issue for the waitress serving and she asked if we needed the high chair, we explained it was work in progress. To which she said "well this is where I serve from" in a very unfriendly manor. We had our starters and main courses which the waitress was able to serve whilst the high chair was in the way. The meals were ok, nothing special. Tasteless pasta that was compared to chicken soup and a dish that was described as a hint of chilly on the menu, I removed at least 10 from my plate whilst I ate. I felt like we were being watched by the waitress and we got a disapproving looks when we made noise laughing. We asked for the desert menu, after waiting for 20 plus minutes and being the only dinners in there we gave up on trying to order and went else where for desert. All in all it was a very disappointing afternoon, and we wont be going back there.